Today, the SEIU Faculty Forward campaign successfully won a landmark unionization campaign at Miami-Dade College. With over 2,800 adjuncts voting to unionize, the college now has the largest adjunct union in the country. In 2017, more than 81% of the college’s professors were adjuncts; making on average only $22,000 a year while lacking health care. The adjuncts say that they have unionized not just to improve their working conditions, but to fight for better conditions overall as the university faces increasing budget cuts. Over the last decade, 13% of the budget for higher education in Florida was cut. 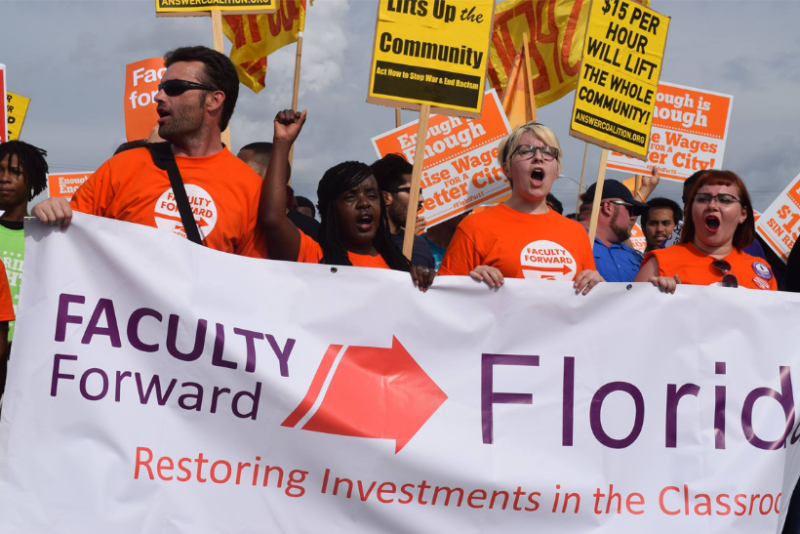 Prior to 2017, no adjuncts in the “right-to-work” state of Florida had voted to unionize. 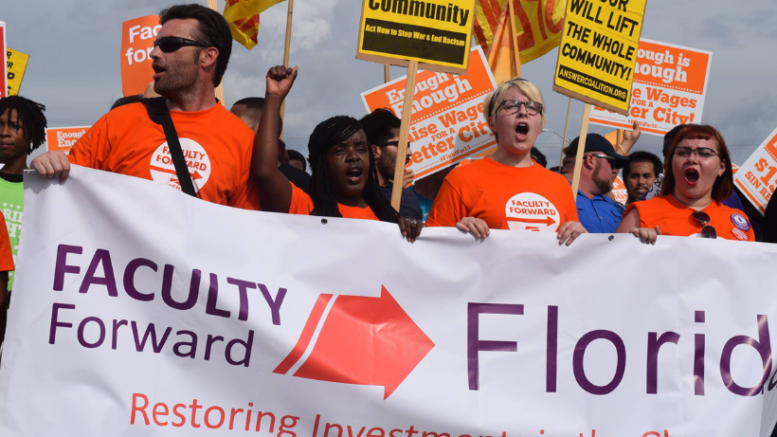 However, in just less than two years, more than 9,000 adjuncts, which make up more than half of the adjuncts employed in the Florida College System have moved to unionize. Adjuncts at Hillsborough Community College, Broward College, University of South Florida and Seminole State College have voted to unionize so far. Now the union is hoping to use the momentum of the win at Miami-Dade College to help organize the rest of the system. Today, SEIU Faculty Forward announced that they also intend to launch campaigns at St. Petersburg College, Lake-Sumter State College and South Florida State College. Be the first to comment on "Miami-Dade College Professors Vote to Form Largest Adjunct Union in the Country"